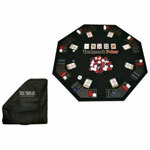 Make any area or table into a real game table with this handy Texas Holdem / Black Jack folding table top. It's lightweight and portableso you can take it with you! 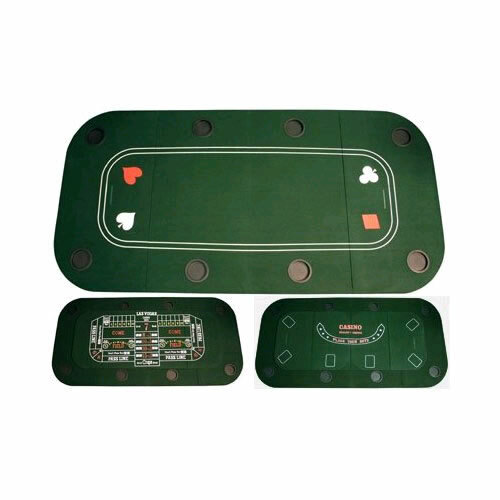 Features casino cloth, and drink cup and chip holders. It measures 52" from point to point (48" side to side diameter) and is reversible for Texas Holdem and Black Jack. Each of the 8 stations includes a cup holder and chip tray. The top also comes with a storage/carry bag with zipper.